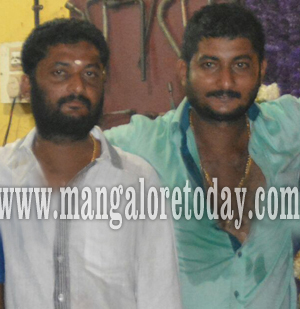 Mangaluru Sep 1, 2016: After the sudden death of a 35 year old man, his younger brother goes missing.Deceased has been identified as Ashith (35) his brother Gaurish (28) is missing, resident of Attavar. It is said that, Ashith died suddenly on Wednesday night. Soon his brother informed his relative Anil and said that he cannot live anymore after his brother’s demise, since then Gaurish has been missing. Reason behind the death unknown and body of Ashith sent for post mortem at Wenlock Hospital. Missing case has been registered in Pandeshwar Police Station. Family sources said that, Gaurish and Ashith stayed together and were running tyre business n the city. Some sources said that, Gaurish jumped from Ullal bridge and committed suicide and search in on.